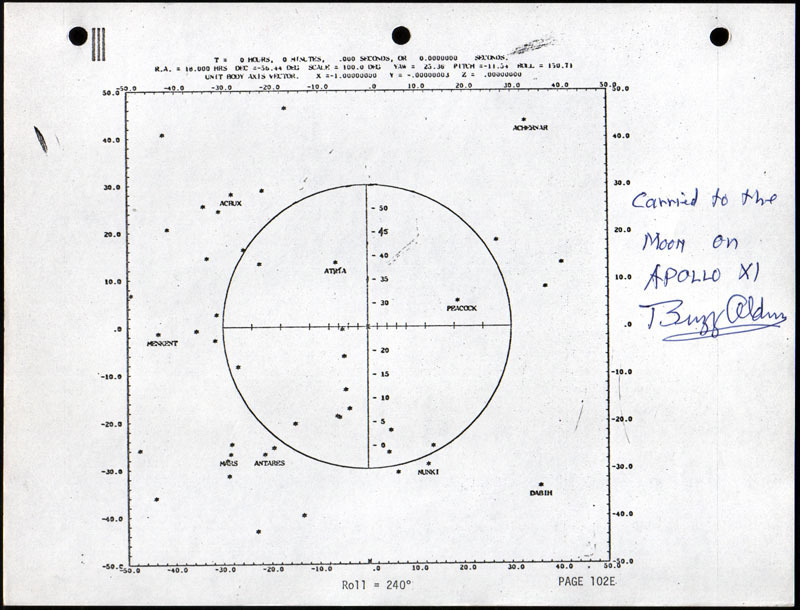 Incredible star chart from Apollo 11, actually used by the crew of Apollo 11 during their historic mission to land the first men on the moon! 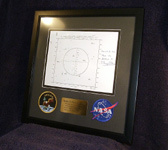 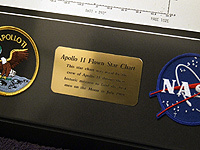 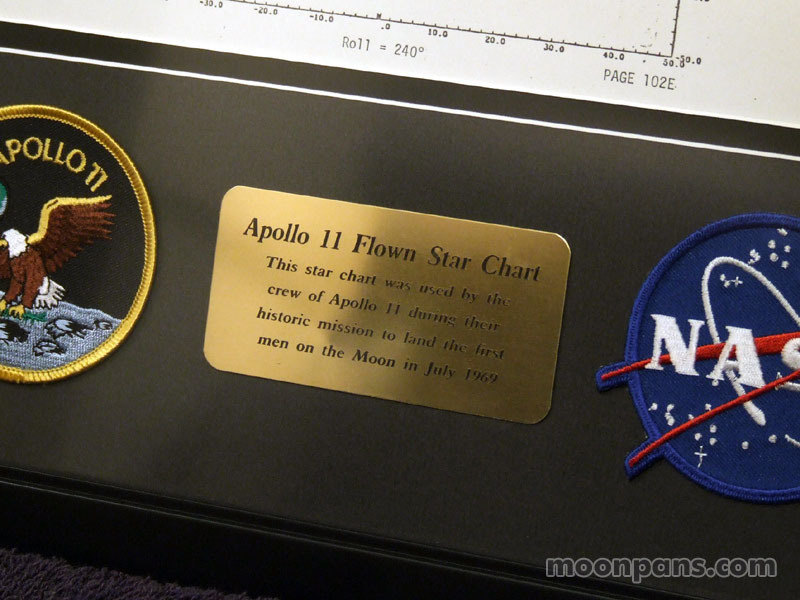 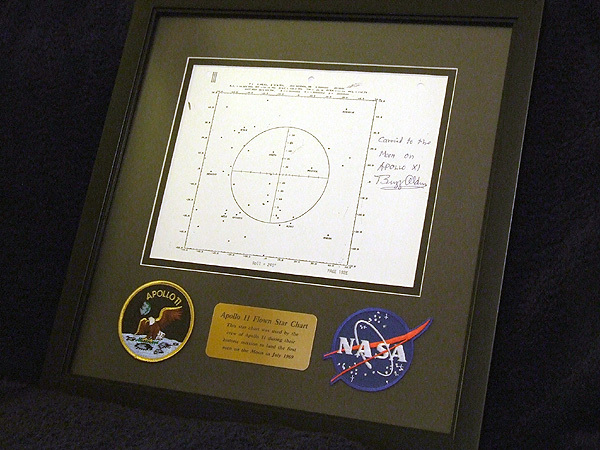 The framed piece features a rare Star Chart that was part of the Apollo 11 Flight Plan which was used during the first lunar landing mission in July 1969. "Enclosed with this letter is a sheet that was added to the Apollo 11 Flight Plan, Part No. 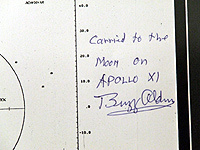 SKB32100080-350, S/N 1001 prior to our launch which is labeled: "PAGE 102E" it was inserted just after page 3-102 of this manual and is part of the entire document that was carried to the Moon in Command module Columbia on the first lunar landing mission during July 16 to 24, 1969. 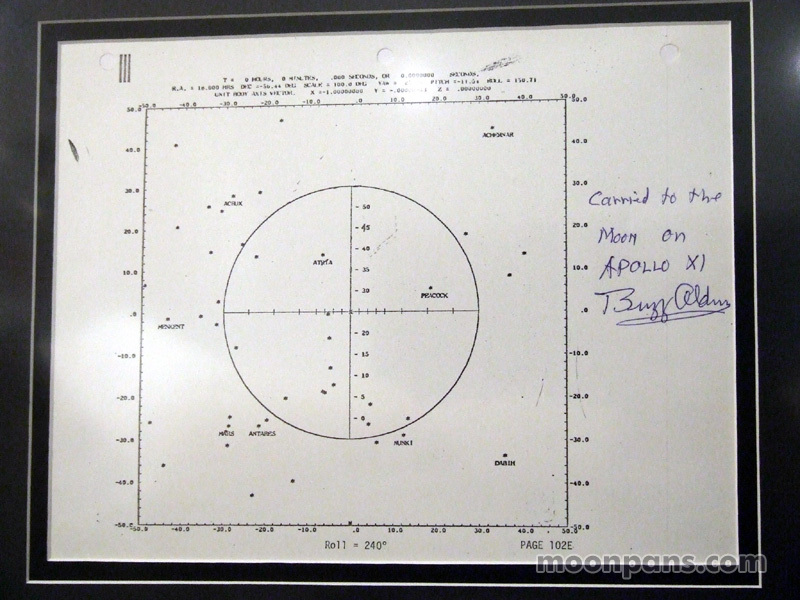 This sheet illustrates the expected view through our scanning telescope while we performed an IMU (Inertial Measurement Unit) alignment just after our Trans Earth Injection (TEI) burn that brought us back from the Moon. 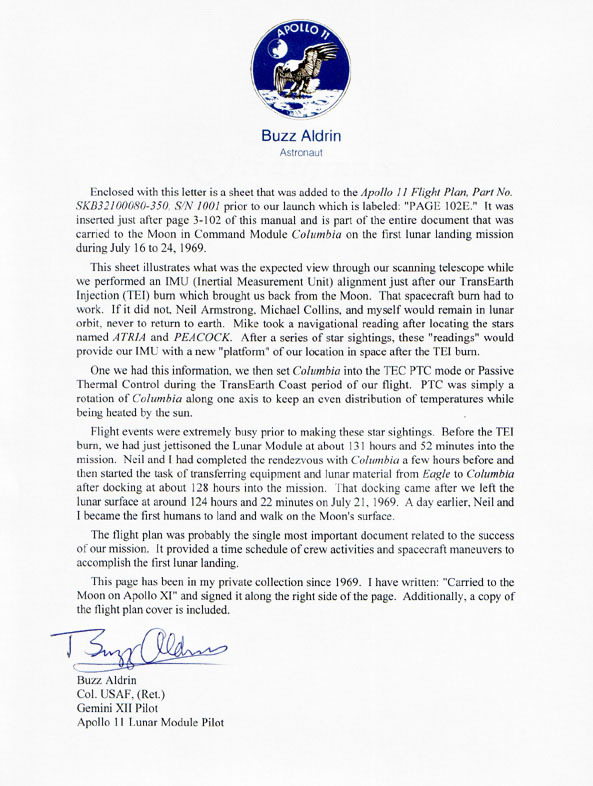 The spacecraft burn had to work. 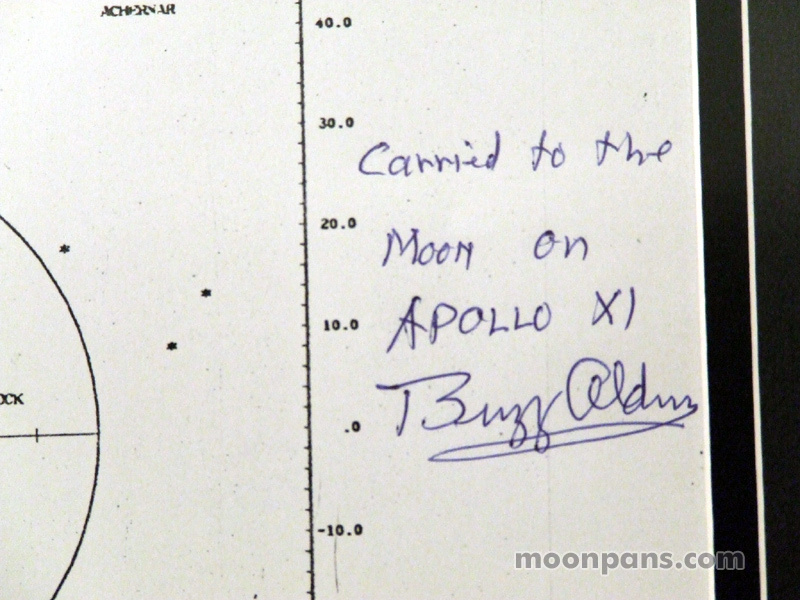 If it did not, Neil Armstrong, Michael Collins, and myself would remain in lunar orbit, never to return to Earth. 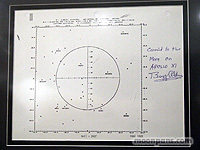 Mike took a navigational reading after locating the stars, "Atria" and "Peacock". 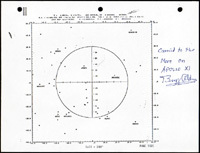 After a series of star sightings, these readings would provide our IMU with a new "platform" of our location in space after the TEI burn."